Sales reps, especially inside sales reps, are often new to the sales profession. In the past, these recent college graduates or career-switchers were left to learn as they went – a “trial by fire,” as James Nielsen, CEO of Sales Bootcamp, describes it. However, the onboarding and training process has changed in recent years, and sales and training managers are finding ways to get their new reps up-to-speed more quickly and successfully. Two key factors play a part in this shift: on-the-job training and coaching. The ideal candidate for a sales development rep, says Nielsen, has two to three months of experience. At that point, they’re still excited about the role, but they have a little bit of experience. Of course, hiring someone with three months of experience is both unlikely and unadvisable. 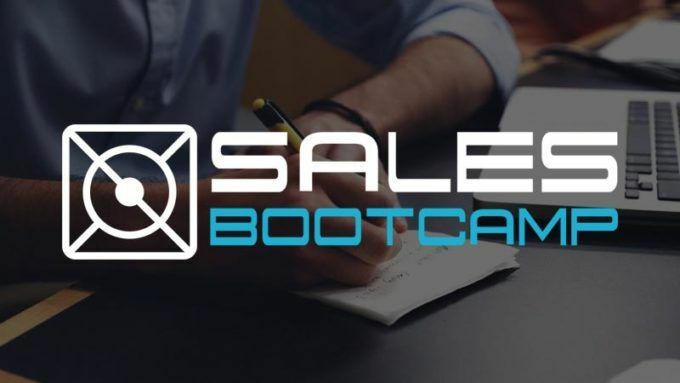 Nielsen believes his Sales Bootcamp is a solution: After a one-week online bootcamp, learners participate in three-month fellowships at tech companies. While working, fellows receive ongoing virtual training and coaching. While a fellowship isn’t necessarily the best option for all companies, sales managers can use some of the same techniques to onboard and train new reps. For example, Julie Thomas, president and CEO of ValueSelling Associates, says that video coaching is increasingly used by sales managers to provide feedback on sales roleplays and simulations by reps. Meanwhile, for knowledge acquisition, she says that “building up a library of learning assets in bite-sized, consumable pieces” that sales reps can find after the onboarding phase is critical. “A lot of the training that happens in the first 90 days,” she says, “a sales rep isn’t going to need in the next 90 days.” Providing a “catalogued, searchable and accessible” online repository of content will help them find the knowledge they need, where and when they need it. “The best way to learn how to sell,” Nielsen says, “is to sell.” Therefore, on-the-job training is critical, as is making sure sales leaders “really spend a lot of time” with their reps in their first 90 days. Thomas says that having a coach or manager sitting or traveling with a new rep as they make calls or go into the field for the first time can ensure that the rep can apply the skills they learned in the classroom with the actual client. There are two types of coaching for sales professionals, Thomas says: tactical and strategic. Early in the rep’s tenure, the coaching is very tactical. Coaches observe them as they demonstrate new skills and behaviors, and then provide feedback. When they’re fully onboarded and working in the field, coaching is more strategic, helping the rep plan their strategies for specific clients. In a typical relationship, the coach is the rep’s immediate supervisor. However, Thomas says that “anyone’s a coach who has experience that is relevant [and who] has a perspective” that enables them to both teach and model sales skills. The coach doesn’t have to be the highest-performing salesperson on the team; rather, the coach should be a person who can build a trusting relationship – someone whom the rep is willing to listen to and accept feedback from. With coaching and mentoring, according to Nielsen, “you can really accelerate” your sales onboarding efforts. Finally, regardless of whether you’re looking at on-the-job training, just-in-time online videos or coaching, measurement is critical. That means making sure that the rep “isn’t just checking off the boxes,” but that he or she is really learning and applying what they need to be successful. Thomas points out that sales reps are one of the outward faces of an organization. How confident are the managers that their reps are representing the company positively? Effective training and measurement will help ensure that reps are selling products and that they are branding the company well.